Bathrooms: 13 "One in every unit"
Promotion, $100,000.00 price decrease for an unconditional offer, cash offer, owner retiring. Bank Appraised the property for $1.8 M. fully renovated from top to button (2004-2018) with over $500,000.00 worth of improvements, including new windows and doors, new roof, updated kitchens and Bathrooms for all units, ceramic tiles and more! All the units are fully and tastefully furnished and come with the sale of the building. Also includes 7 Stoves, 9 Fridges, and 9 A/C. The building is three stories, 1x4 Bdrm, 1x3 Bdrm, 1x2 Bdrm, 1 large bachelor, 3 small bachelors, and a Mini office, Storage, and 9 Parking spots (always in hot demand). 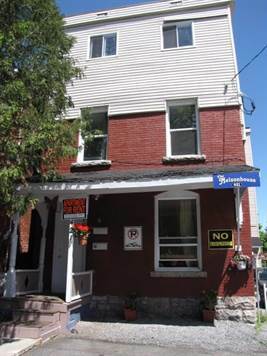 Walking distance to Ottawa U & all Amenities. (property sells as is, Zoning shall be verified by buyer) A must see! Call Now!